(From Macon Weekly Telegraph, September 26, 1884). St. Louis, September 24. 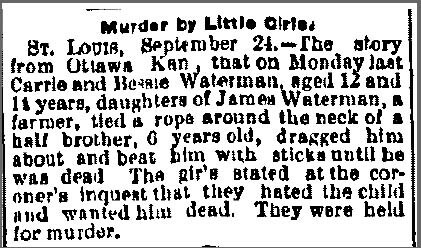 – The story from Ottawa, Kan., that on Monday last Carrie and Bessie Waterman, aged 12 and 11 years, daughter of James Waterman, a farmer, tied a rope around the neck of a half brother, 6 years old, dragged him about and beat him with sticks until he was dead. The girls stated at the coroner’s inquest that they hated the child and wanted him dead. They were held for murder. 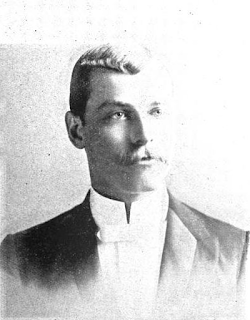 Charles Jacobs, a 27-year-old German immigrant, ran a butcher shop at 262 First Avenue in New York City. His business was being hampered by loafers loitering on the sidewalk outside the shop. 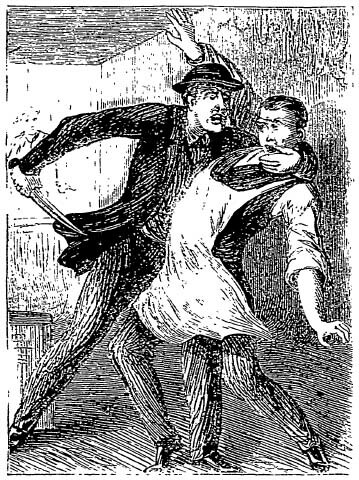 On Saturday, January 4, 1868, one of the loafers, a man he knew only as Kelly, decided to loiter inside the shop. Kelly was clearly drunk and loudly making his presence known so Jacobs tried to rush him back outside. In the scuffle that followed Kelly grabbed a butcher knife from the counter and plunged it into Jacob’s abdomen. 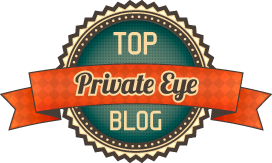 Reportedly, the wound was so ghastly that Jacob’s bowels could be seen protruding. 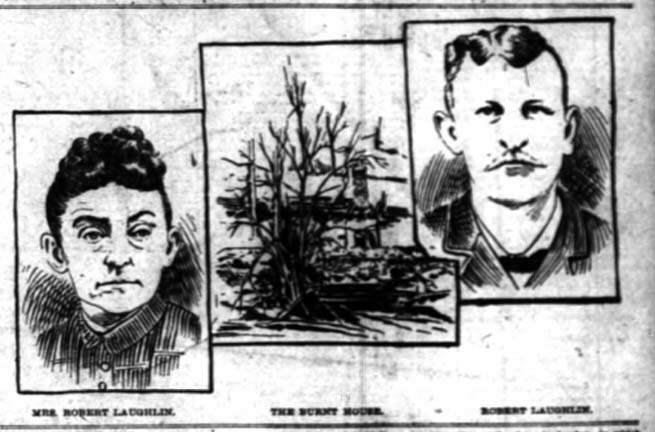 Kelly fled, and Jacobs was taken to Bellevue Hospital. 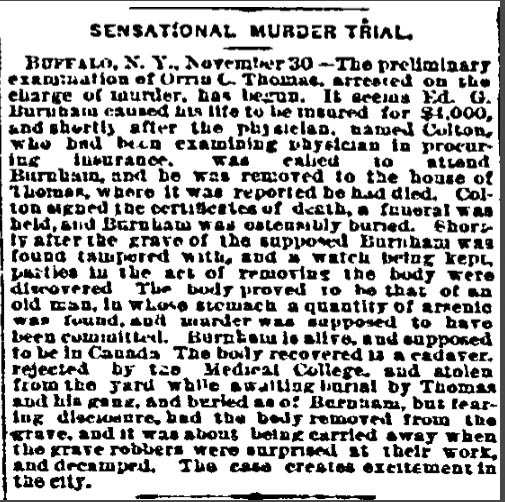 The hospital staff knew that Jacobs was beyond saving, and they sent for Coroner Schirmer to take his ante-mortem statement. Jacob declared Kelly was his killer; he died soon after. As of January 25, Kelly was still at large; it is unlikely he was ever arrested for this crime. “Carnival of Crime,” Frank Leslie's Illustrated Newspaper, January 25, 1868. “City And Suburban Facts,” Commercial Advertiser, January 6, 1868. 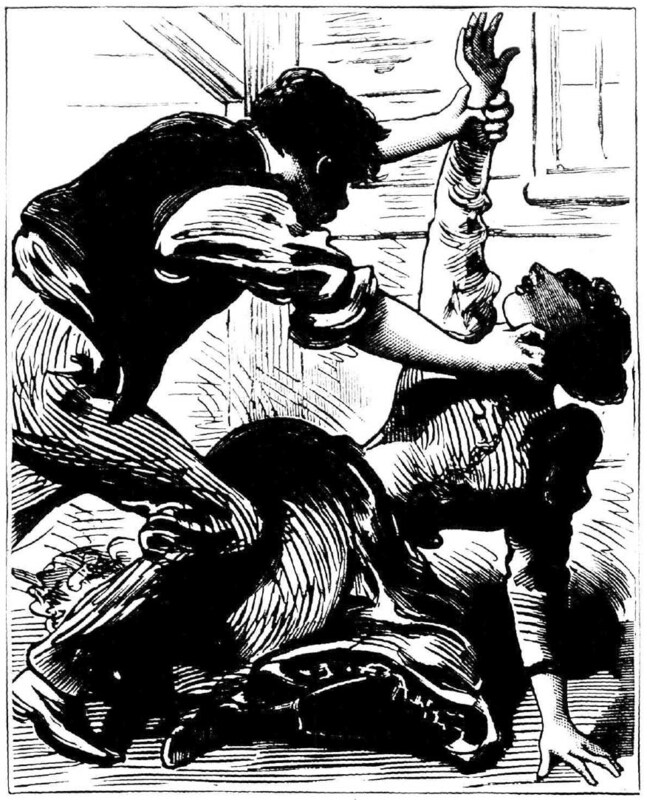 “Murder in First-Ave,” New York Tribune, January 6, 1868. “Stabbing Affray,” The Buffalo Commercial, January 6, 1868.